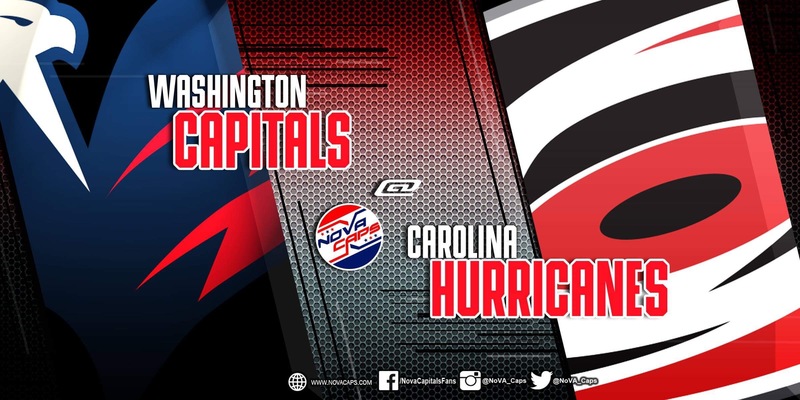 The Washington Capitals face the Carolina Hurricanes in the first meeting of the season between the two teams. The Capitals and Hurricanes split the season series last season with the road team winning every game. Puck drop from PNC Arena in Raleigh will be at 7:30 PM on NBC Sports Washington. The Capitals have won 10 of their past 12 games, including their past three, to build a five-point cushion for first place in the Metropolitan Division entering Thursday’s slate of NHL action. The team is coming off of a 6-2 win against the Detroit Red Wings on Tuesday night. Forward Tom Wilson will likely return to the lineup after missing the past two games with a concussion, which he suffered after taking a high hit from Vegas Golden Knights forward Ryan Reaves in the Capitals’ 5-3 loss to the Golden Knights on December 4. Wilson, 24, saw a six-game goal streak, where he tallied seven goals, and an eight-game point streak, where he recorded 13 points in that span, end against the Golden Knights. He skated in a no-contact jersey in Tuesday’s morning skate but wore a regular practice jersey for Wednesday’s practice, strongly indicating he’ll return to the lineup against Carolina. Captain Alex Ovechkin has scored goals in four straight games, where he has put up six markers, including a hat trick against the Red Wings on Tuesday. The 33-year old also enters Friday’s game against the Hurricanes riding a 12-game point streak, where he’s tallied 13 goals and 19 points in that span. He needs to record a point on Friday to match his NHL career-long point streak of 13 games. The team has five players with a +10 rating or higher (defenseman Michal Kempny: +19 – tied with Tampa Bay Lightning defenseman Ryan McDonagh and Calgary Flames defenseman T.J. Brodie for the second-highest in the NHL, defenseman John Carlson: +17 – tied with Nashville Predators forward Colton Sissons and Toronto Maple Leafs forward Kasperi Kapanen for the seventh-highest in the NHL, center Nicklas Backstrom, who is second on the team with 38 points and leads with 28 assists: +15 – tied with Maple Leafs defensemen Ron Hainsey and Morgan Reilly for 12th-highest in the league, Ovechkin: +12 – in a six-way tie for 19th in the NHL, and forward Jakub Vrana: +10 – in a six-way tie for 30th in the NHL). Goaltender Pheonix Copley, who 6-2-1 with a save percentage of .902 and a goals-against average of 2.95, could get the start on Friday in Carolina for the first time in his career with the Capitals playing the front end of a back-to-back and facing a dangerous Buffalo Sabres team on Saturday night back home. If not, Braden Holtby, who is 12-7-2 with a save percentage of .913, a goals-against average of 2.81, and two shutouts this season, including a save percentage of .973 in his past two outings, will start. Lifetime against Carolina, the 29-year old is 12-6-0 with a save percentage of .940, a goals-against average of 1.93, and two shutouts. The Hurricanes started the season 4-0-1 but have come back down to earth, going 9-13-3 since their hot start. The team is currently sixth in the wild-card race but only two points back on the New York Islanders for third place in the Metropolitan Division entering Friday’s game. Carolina returns home to host the Capitals after visiting the Montreal Canadiens on Thursday night, where they lost by of score of 6-4. They are 0-5-1 in their past six games. The Hurricanes will start a five-game homestand against the Capitals on Friday night and will play six of their next eight games at home. One of those two games they will play on the road in that span will be in Washington on December 27, the game immediately following the NHL’s holiday break. Forward Sebastian Aho leads the Hurricanes with 20 assists and 29 points in 29 games. After posting 29 goals and 65 points last season, the 21-year old is on pace to shatter those numbers this season. Aho’s eight goals are second on the team behind forward Michael Ferland (11), who was acquired in a trade with the Calgary Flames at the draft this past summer. Entering Thursday’s game in Montreal, the Hurricanes average the most shots-per-game (38.4), 2.8 more than the Florida Panthers, who are second in the NHL in that category, and allow the fewest shots-per-game (27.5) along with the Vegas Golden Knights. After missing the playoffs for the ninth consecutive season, a lot of changes were made in Carolina over the offseason. The team acquired Ferland (15 points), defenseman Dougie Hamilton (three goals, 10 points, -10 rating this season), forward Jordan Martinook (seven goals, 10 points), defenseman Calvin DeHaan (one goal, four points, +6 rating), and goaltender Petr Mrazek (4-5-2 record, .895 save percentage, 2.55 goals-against average over the summer. The team traded their top goal scorer in forward Jeff Skinner to the Sabres for forward Cliff Pu and second and third-round draft picks. Goaltender Scott Darling, who is 2-4-1 with a save percentage of .892 and a goals-against average of 3.14, will likely get the start after Mrazek started against the Canadiens on Thursday. In his career against the Capitals, the 29-year old native of Newport News, Virginia is 2-1-0 with a save percentage of .910 and a goals-against average of 2.18. After captain Jordan Staal scored on a tic-tac-toe play on the power-play for a 1-0 Hurricanes lead 3:20 into the game, the Capitals tied it on a goalmouth scramble when center Lars Eller potted a rebound after forward Jakub Vrana hit the post on a wide open net a few minutes later. Ovechkin made it 2-1 28 seconds into the second period on a howitzer from the left dot after getting a pass from Carlson at the point. Aho tied it up with a blast from out far to tie the game at two on the power-play about seven minutes later. To start the third period, Skinner gave Carolina the lead roaring through the neutral zone and ripping it blocker side on goaltender Philipp Grubauer. With 3:08 to go in the game, forward Brett Connolly capitalized on a defensive zone turnover by Carolina and sniped it through the wickets of goaltender Cam Ward. With the clock winding down, Ovechkin took the puck wide after rushing down the ice but lost the puck. Fortunately for him and the Capitals, Backstrom stripped the puck from the Hurricanes’ defenseman through a loose puck on net. The puck hit center Jay Beagle, who swept it past Ward with 0.8 seconds to go to give the Capitals the 4-3 regulation win. Grubauer made 36 saves in the win. This entry was posted in Games, News, Washington Capitals and tagged Carolina Hurricanes, Game Preview, Harrison Brown, Washington Capitals. Bookmark the permalink. Appreciation to my father who informed me about this web site, this website is really amazing.